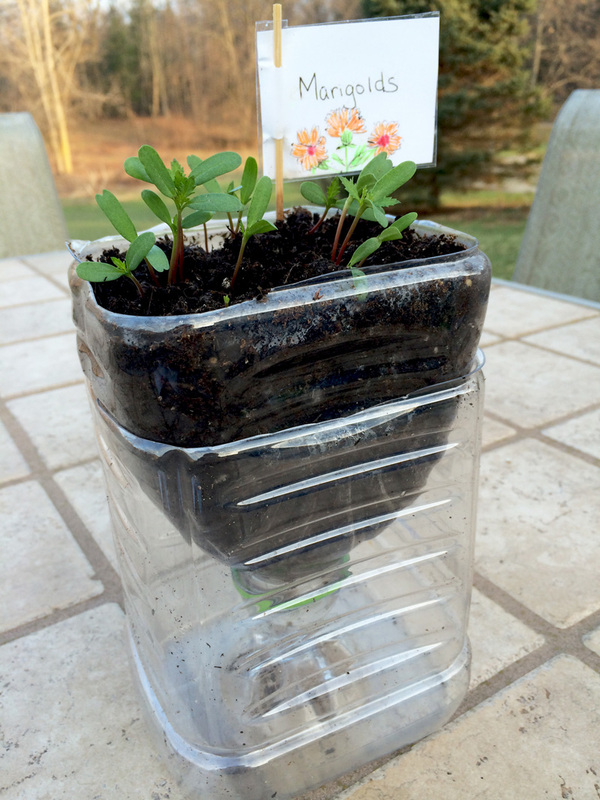 Reuse Old Orchard Juice Containers to Plant Seedlings! 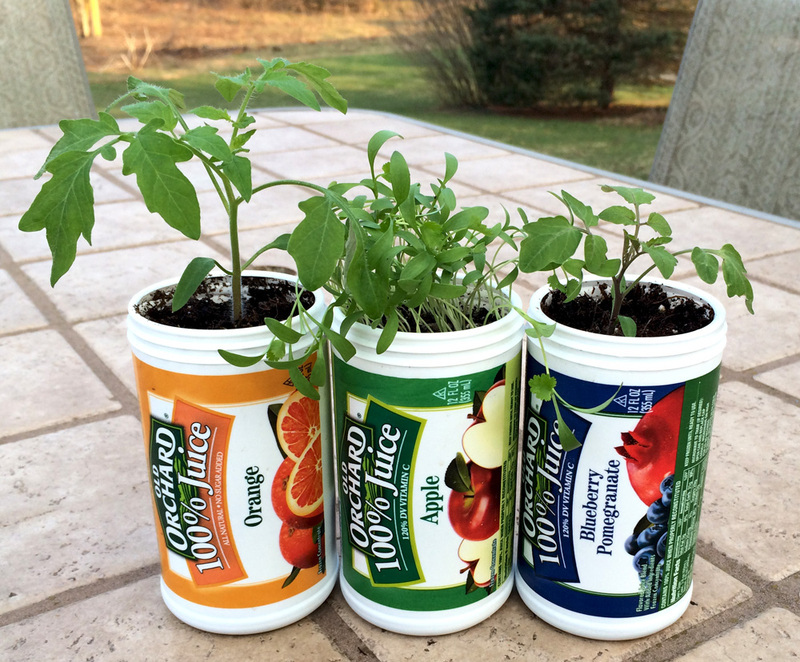 Did you know that you can reuse your Old Orchard juice containers to plant herbs or start seeds for your garden? Nothing tastes better than fresh, homegrown herbs and vegetables. 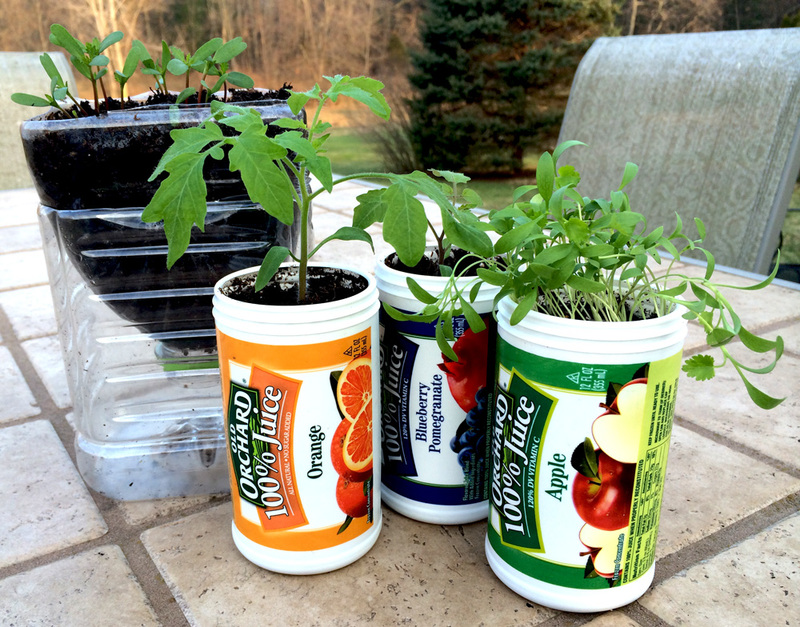 Here’s how you can use Old Orchard juice cans and bottles start growing your own. Rinse out containers until completely clean. Soak in a bleach solution (10 parts water to 1 part bleach) for 15 minutes to sterilize. Allow to dry completely. Punch 2-4 holes (about 1/4” each) in the bottom of each container to allow water to drain. Fill containers with potting soil or seed starting medium. Water until moist. Plant seeds according to packet instructions. Create your own labels or plant markers so you don’t forget what you’re growing in each container! Place containers in a sunny location, keep watered, and enjoy watching your plants grow! Transplant seedlings to larger containers or garden plot, as necessary. Cut bottle through the middle. Invert top half and place inside the bottom piece. Fill top with potting soil or seed starting medium. Water until moist. The bottom part of the bottle will catch any water that drains through. We used our 96oz bottle to allow a little more space for our marigold seedlings. 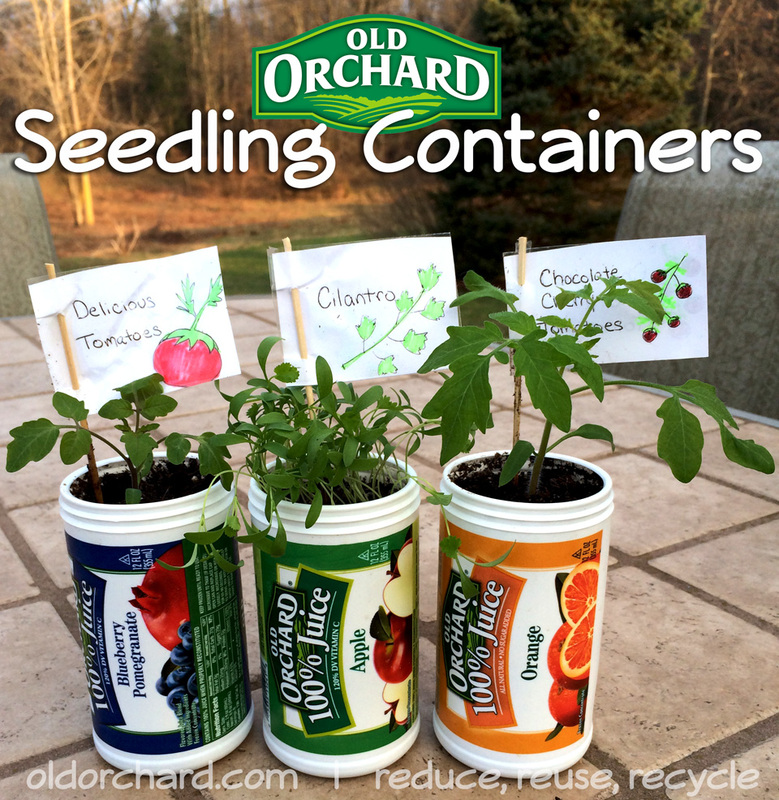 Celebrate Earth Day by reusing your Old Orchard juice containers as seedling containers, or come up with your own creative uses! Check out our Pinterest board for more ideas on how to reduce, reuse and recycle!